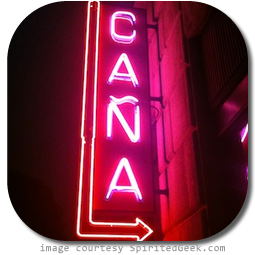 For those of you in the Greater Los Angeles Area, you may already be familiar with the fact that I spend the last Tuesday of every month guiding a rum tasting at Caña Rum Bar in Downtown LA. These have been a ton of fun, we’ve tasted a lot of really good rum, and I really enjoy them. There’s only one problem: they’re too popular. Indeed, the RSVP list for Rum Society every month exceeds capacity within the first hour of the meeting’s announcement. This is flattering, but it means that fewer people get to attend something that we think everyone wants to see: me talking. Oh, and probably rum stuff too. On top of that, the format of Rum Society – being free for all members of Caña – also prevents us from being able to break out some of the really awesome stuff from smaller distilleries who have a harder time coming up with the volume of rum that we need for the tastings (apparently all of the people who come to these things drink a lot of rum). Now since we seat only 50 and Rum Society reservations go faster than breath mints at a kissing contest, RumDood and I are going to be hosting periodic Rum Society meets where we pour some really awesome stuff that nobody would ever allow us to give away. Our first foray into these fancy ticketed meetings will be on Thursday June 14th at 8:30pm when we dive into the flavorful depths of aged cachaça. 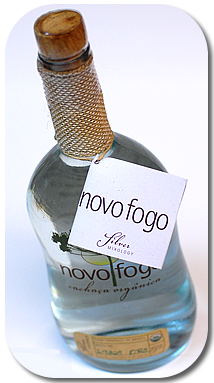 After enjoying a round of Brazilian Daiquiris with Novo Fogo we will sample 1 oz. pours of Armizem Onix (an 18 year old cachaça whose price belies its rarity and complexity), Weber Haus’ aged expression, and Novo Fogo’s organic aged cachaça. Novo Fogo is a pioneering young brand, and its proprietor Dragos Axiante will be flying in tell us about its journey. The tasting including a welcome cocktail and gratuity will be just $30. Thursday, June 14th at 8pm, for $30 you can come and drink some really incredible cachaça that is both rare and a hell of a lot more than $30, and get to meet Dragos Axinte from Novo Fogo – who knows a hell of a lot about cachaça. So come and see me and Dragos, and let’s drink some rum cachaça! I know I won’t be able to attend this event because I’m all the way on the East Coast and I’m busy that week, but I definitely have to try that kind of Rum. I’m trying to expand my Rum palate. I’m very fond of dark rums but haven’t found a white rum I like yet.